PlugFones Foam Replacement Tips are original equipment tips just like those that came on your PlugFones. We buy from the manufacturer so you can buy with confidence. NOTE: Feel free to choose any of the replacement tip models. All of them fit all of the PlugFones! 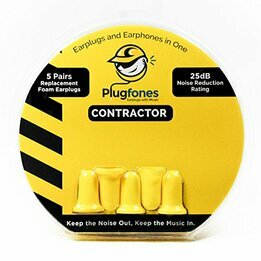 PlugFones Triple Flange Silicone Replacement Tips are original equipment tips just like those that came on your PlugFones.